We hit one million orders! We’ve officially printed one million orders and we wanted to say a big thank you for helping us get there – we really couldn’t have done it without you! 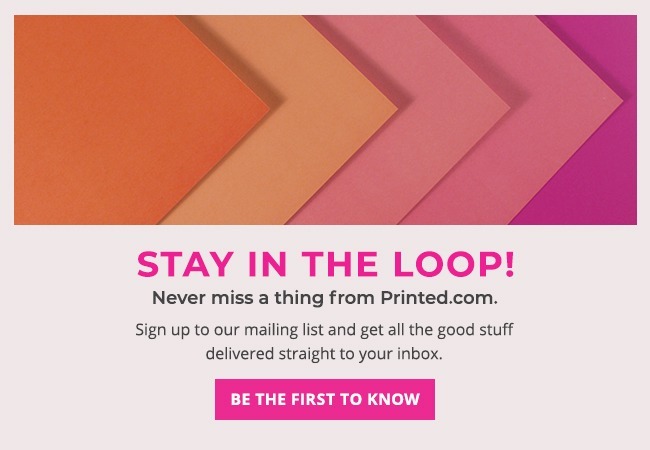 Your continued support and loyalty means a lot to us here at Printed.com. Whether you’ve printed one, or 100 orders with us, we’re dedicated to making your experience the best it can be, with more products, more papers, more finishes and all the tools and advice you need to thrive. Without you, our loyal customers, we wouldn’t be able to keep growing and innovating, so from all of us here at Printed.com we’d like to say a big thank you once again. We hope to see you at the next milestone! Congrats on hitting 1 million! Well done team! Expect a lot more coming your way from us, you’re services are a real asset to what we offer as a business! We use printed.com for everything and will continue to do so! Congratulations guys, very well deserved! Everyone should hear happy news, according to The Happy Newspaper Founder Emily Coxhead.